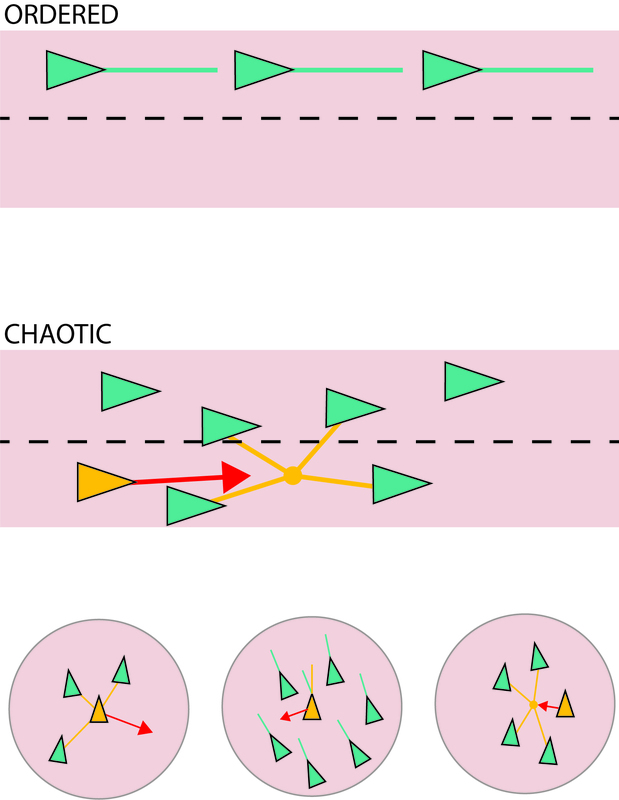 Flocking and Swarming are behaviour models that have been studied and applied to crowd modelling, computerised problem solving, AI, swarm robots and unmanned vehicles. Our research so far into platooning in nature does not indicate a need for a conventional leader. Although the idea of a lead car is in some ways warranted in an autonomous vehicle system, must that leader be predefined? The question arises as exploration into natural systems saw leadership of a flock of birds or ants / bee movement being shared among all members of the group. We offer behaviour patterns as an alternative to existing leader following structure of platooning CAVs.